Faculty, Staff and Students can drop by for support with basic desktop software, accounts, wireless, email or hardware questions. Desktop Systems staff will use the CET as a support base for office visits and faculty/staff drop-ins on the north side of campus. Student Technology Consultants (STCs) will be available in the CET, as they are now in OIT, to provide help to students and will work closely with the other Library service desks to provide a highly robust support environment. 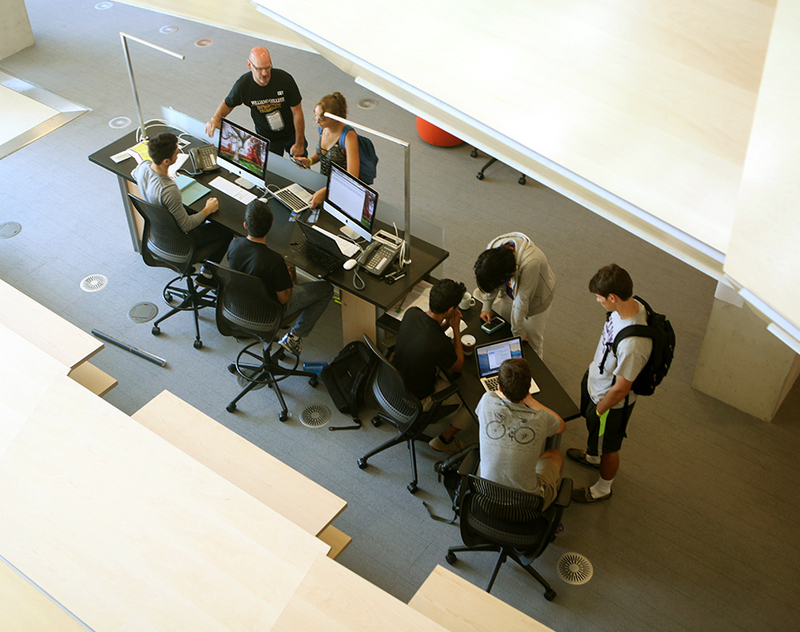 STCs also help Williams College community members with the creation of audio, video, and print media in the new Sawyer Library (2nd level CET area). STCs develop their media production skills through active learning and training. STCs also partner with Integrating Digital Literacies (IDL) courses by assisting students tasked with assignments that have a technology component.